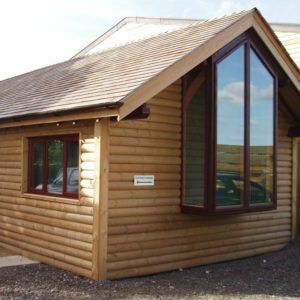 Our tanalised Loglap cladding profiles are machined from quality Scandinavian redwood. 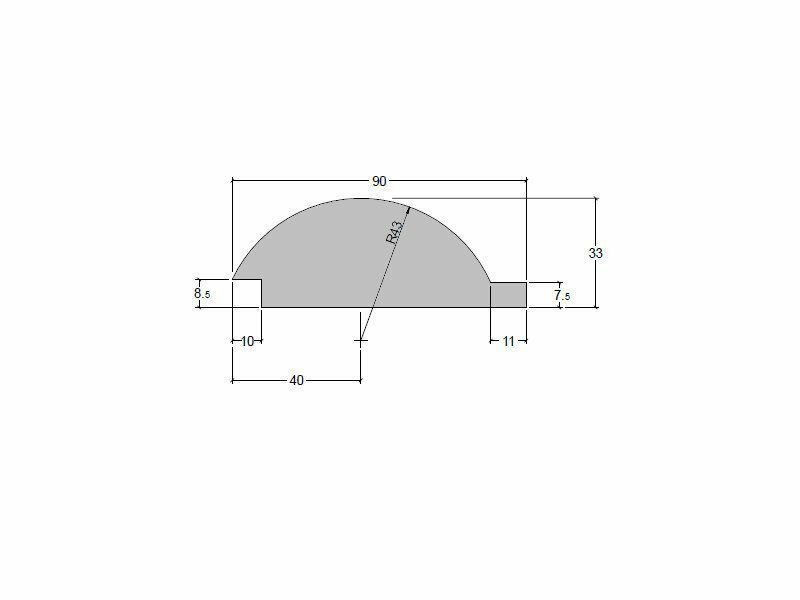 The boards are machined with a lap or tongue and groove joints to allow adjoining boards to interlock but still allow some movement which may occur when timber responds to different moisture levels. After machining the boards are pressure treated with new generation Tanalith-E preservative. This treatment helps protect the timber against decay and fungal attack and provides an increased service life to untreated timber or boards treated with a standard dip treatment. All cross-cut tanalised timbers should be treated twice with Ensele end grain treatment to maintain the timbers resistance to moisture. 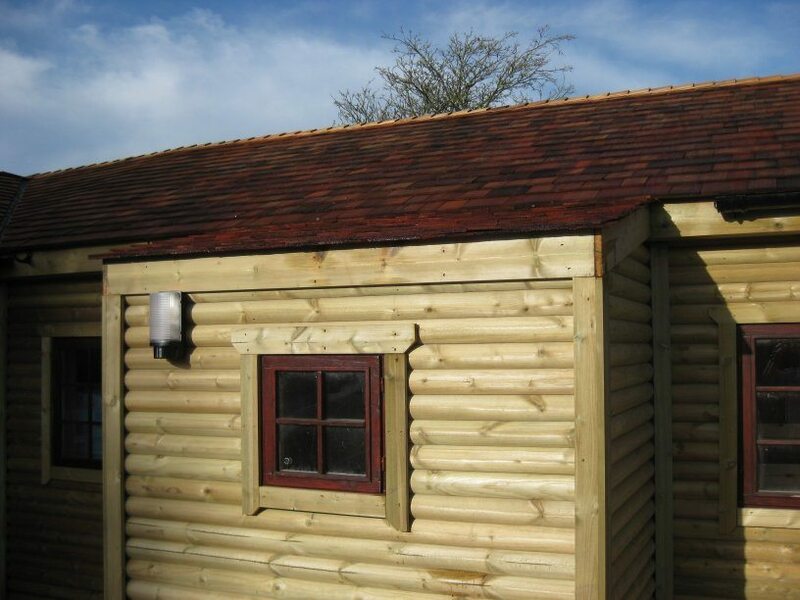 Our Loglap manufacturers use of redwood timber and next generation Tanalith E means these products are covered by a 15 year Manufacturers ‘Treatright’ warranty. 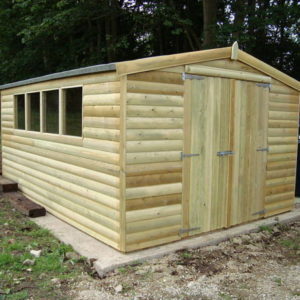 Our tanalised Loglap boards are commonly used to clad summerhouses, timber extensions, garden offices and log cabins. 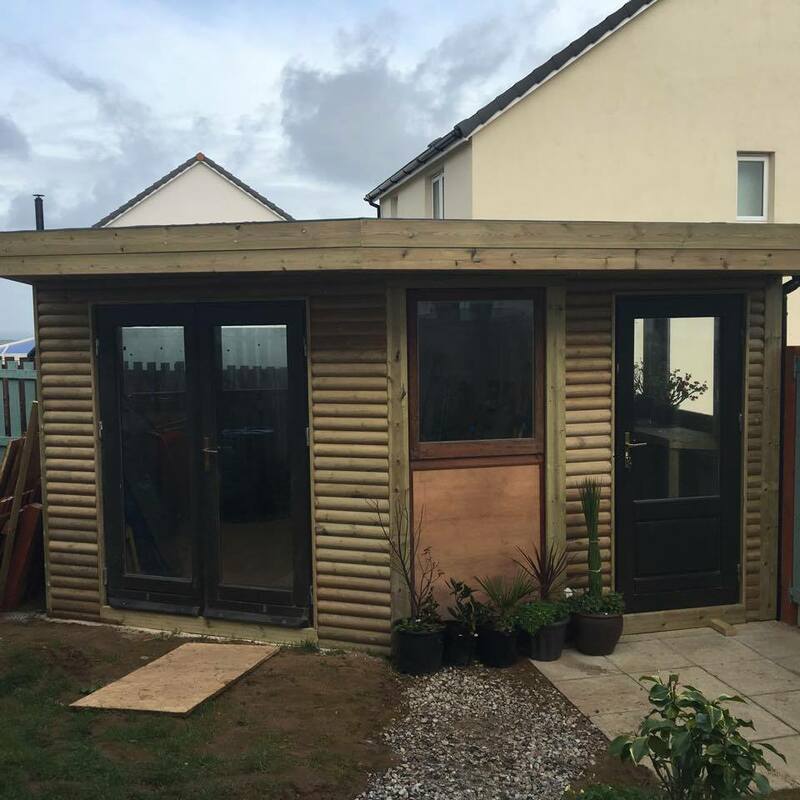 All of our pressure treated timbers will normally weather to a silvery-grey finish because of the UV rays of natural sunlight. Colours can be maintained and enhanced where required by using Osmo Country Colour, Osmo Natural Oil Woodstain or Treatex exterior oils.